When your thinking of vinyl, you're maybe thinking of some tunes you used to listen when your still a kid. But on this page, we’re going to discuss why vinyl is such great material. And why it’s worth considering a vinyl fence depending on your situation and desires. Please feel free to read through and call us if you had questions or if you want a free quote. We’ve been installing and working with vinyl fencing for years, and we know how awesome it is as a material. We also understand it can be difficult to choose a fence builder or decide on the right one. So we want to make it easier for you to feel confident that we’ll build your fence right. In the meantime, let’s discuss why vinyl is great for fences. 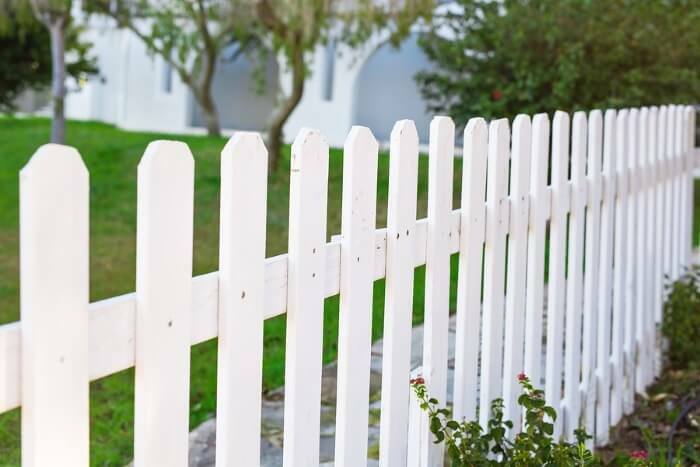 What Exactly Is Vinyl Fencing? Vinyl is a synthetic material, also known as PVC for Polyvinyl Chloride. It’s also known as the “infrastructure plastic” because over three-quarters of all vinyl produced. That used in construction projects due to its incredible properties. One of the huge benefits of it being synthetic is that it’s not biodegradable. So isn’t susceptible to rot and bugs like woods are, or rust like metal is. The term vinyl has come to refer to any plastic fencing. So it’s good to keep in mind that there are several different options available within the realm of vinyl fencing. There is a multitude of different types of PVC that are better suited for one job or another. And more than one composite material will be used in order to increase the strength and stability of the structure. Vinyl believe to be nearly 5 times more durable than wood while also being more flexible. It’s also completely resistant to rot and bugs so require less maintenance than wood fences. What particular vinyl fencing material we choose for your project depends on your needs, desires, and budget. The good thing is that it tends to be considerably cheaper and faster to install than other fencing materials. So there are definitely advantages. In general, vinyl fences last longer than wood fences in harsh winter weather with ice, etc. Your anticipated use of the fence will determine what type of vinyl, if any, we’ll recommend you choose. The fastest way to get some specifics is to call us at our number above. We’ll be happy to provide you with all the information you need! We love vinyl, and it probably shows in how we write about it. I mean, we love all types of fencing materials, but there’s something cool about the way vinyl works as an invention. There are tons of style options available to you in the world of PVC fence installation. You can choose different shapes, designs, external surface finishes, colors to match your home, and so on. It’s all highly customizable to your specific desires. Unlike wood and metal, vinyl is very easy to keep clean. It can be simply be hosed or wiped down with soap and water to restore its original brilliance, and the colors will never fade. Vinyl fence doesn’t crack, chip, fade, or melt. It’s even free of harmful chemicals! Our entire business is built off great customer experiences. We aim to please in each and every one of our jobs. Vinyl fencing is a great material with endless possibilities to choose from, that comes at a fantastic price point. Please feel free to call us with any questions you have or to request a free quote!